Free EAP with small business health insurance. Mental health continues to be a key priority for business, but employees still face many challenges in accessing treatments. That’s why we’ve taken steps to remove most exclusions and extend our cover †. 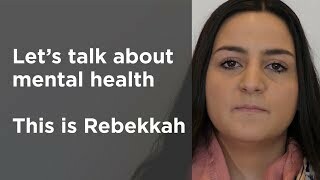 Mental health conditions are complex and can recur. Our new commitment means we won’t leave your employees or your business without our support. We’ve removed the three year ‘chronic rule’ from our cover, meaning we’ll cover your employees for recurring conditions††† up to their benefit limits, always working within best practice to identify the most clinically appropriate treatment. 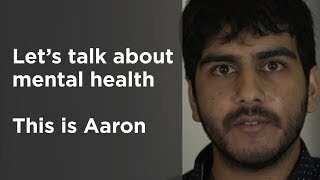 We cover mental health conditions whatever the reason, even if they’re connected with a normally excluded condition. For example, we would cover anxiety as a result of sleep disorders, even though sleep disorders are normally excluded conditions. Our network also includes mental health therapists with specific skills to support adolescents. We want to be there for your employees for the long term. That’s why we offer ongoing support for monitoring and maintenance of diagnosed mental health conditions. Because we continue to support your employees, we can potentially lessen the severity of the occurrence and reduce the impact on your business. 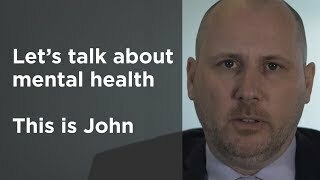 For mental health conditions, it’s not always necessary for your employees to see a GP first‡. They can call us directly for support and a referral..
We have over 4300 mental health therapists nationwide. We’re committed to helping businesses and employees with relevant mental health issues, including helping people reach a diagnosis and access treatment for conditions like personality disorders. We work closely with leading organisations and research bodies such as BITC, CMHA, Mind and What Works Centre for Wellbeing. We continue to invest in technology such as online cognitive behavioural therapy that makes mental health therapies more accessible for employees. We continue to collaborate, learn and share best practice on mental health. We have a wealth of online tools, quizzes, calculators and mobile apps and health content to help your employees look after their health and wellbeing. These videos are intended for general information only and do not replace the need for personal advice from a qualified health professional. Our complementary, chargeable services including Employee Assistance Programmes , resilience and stress management solutions are available options to help support your employees’ mental wellbeing – whatever they’re facing. Bupa Employee Assistance Programmes (EAPs) are confidential mental health and wellbeing support services that contribute to your organisation’s wellbeing strategy and help satisfy your duty of care as an employer by offering expert support to help individuals take control of their situation. Your employees can call in confidence, any time of the day or night, to talk over their concerns with a counsellor. If appropriate, they will be put through to a specialist with the right expertise for their needs. In addition we offer a range of digital tools to support your employees’ wellbeing. 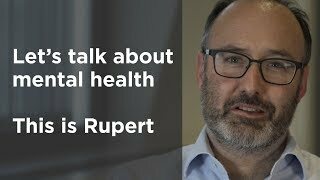 We also make it easy to access Bupa Insurance mental health benefits through a seamless referral process††† following a comprehensive telephone assessment. 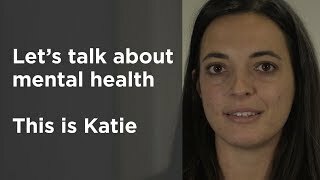 Here you’ll find a wealth of information and advice to help you be more aware of the workplace mental health, and that of your employees. We also offer a pro-active digital solution 'Emotional Wellbeing Online' for the whole of workforce which helps employees feel in control. Learn more about What works wellbeing, an independent collaborative centre that puts high quality evidence on wellbeing into the hands of decision-makers in government, communities, businesses and other organisations. Learn more about Business in the Community, a business-led membership organisation made up of progressive businesses of all sizes who understand that the prosperity of business and society are mutually dependent. Read more about CMHA, a coalition of organisations that have come together to create an environment in the City where mental health is discussed in the same way as physical health. †Please note: Existing in-patient, out-patient and day case benefit limits and exclusions for pre-existing conditions still apply to our cover for mental health conditions. ‡Direct Access telephone services are available as long as the symptoms are covered under the policy. If your cover excludes conditions you had before your policy started, we’ll ask you to provide evidence from your GP that your symptoms are not pre-existing for a period of up to two years from policy start date (or five years in the case of mental health). We can then refer you to a consultant or therapist through the Direct Access service. Always call us first to check your eligibility. ††The services mentioned here are separate to our business health cover, please ask your account manager for more details on how they can help your business.